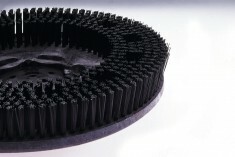 The light floor cleaning disk brushes available at Brushtec are designed for sweepers and cleaning machines working on floors made of marble, epoxy paint, linoleum, vinyl tiles, quarry tile, terrazzo and ceramic materials. 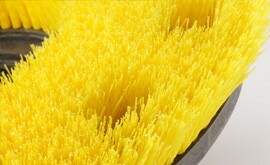 The light cleaning disk brushes come in a range brush designs, filament lengths and materials, such as nylon, polypropylene and bassine fibres. Visit our questions and answers page to find out more, or contact us directly and ask a question of your own. 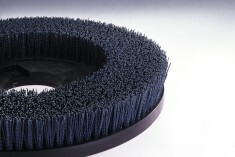 You may also be interested in our light floor cleaning disk brushes, or one of our other disk brushes, such as our scarifying or polishing brushes.